We’re excited to bring you the new look of ICE, but why the change? ICE has existed for nearly 30 years and we’re at the forefront of schoolswork projects in the South West. We wanted to make sure our visual identity reflects our mission and purpose in everything we do. The need to stay relevant when working with young people and schools is crucial, so while the look of ICE and the projects we offer has changed and grown over the years, our core mission has always remained the same: Bringing Faith to Life in Schools. Our new identity reveals and demonstrates the colourful range of projects we run, communicating our professionalism without losing the friendliness of the ICE brand that thousands of people know so well. Each of our new icons represent one of our school projects ranging from assemblies, mentoring, CUs and so on. 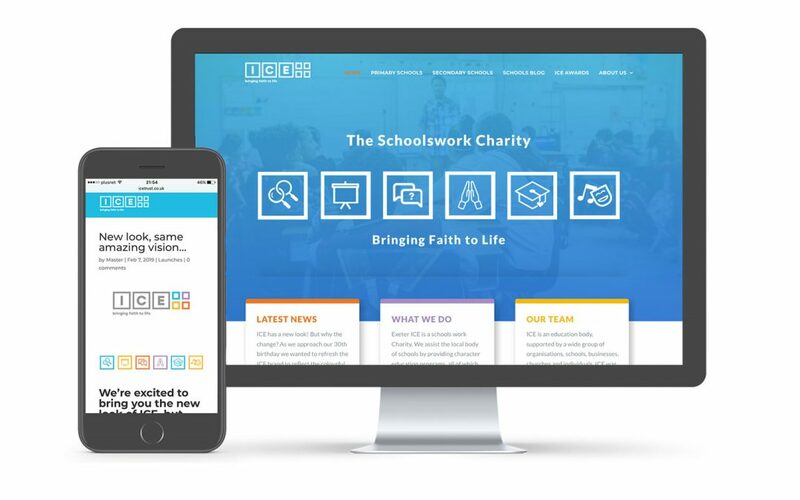 These icons will help staff, students and supporters understand exactly what projects we’re running in their school, and gives more people the opportunity to know the breadth of projects we run. The whole world is becoming increasingly digital, with an online trend towards mobile and tablet use. So we’ve designed a brand new website that people can browse at ease from any device, as well as featuring blogs, sign-ups and easy integration with all our social media channels – which means supporters like you can hear all the great stories from our work much easier. We’ll be revealing more features over the coming year. Best of all, we’ve pulled in favours to undertake all of this work, so we’ve hardly spent anything in creating this cutting edge and up to date branding and website – this is a real God story for us, and calls for celebration.